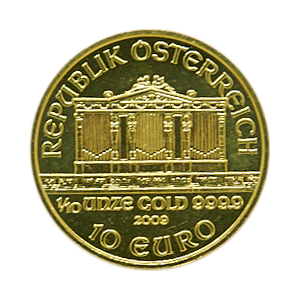 First issued in 1989 and named for the Vienna Philharmonic orchestra (Wiener Phiharmoniker) which is the design on both sides of the coin. It was intitially minted in two sizes – 1oz and 1/4 oz. The 1/10th oz was introduced in 1991.